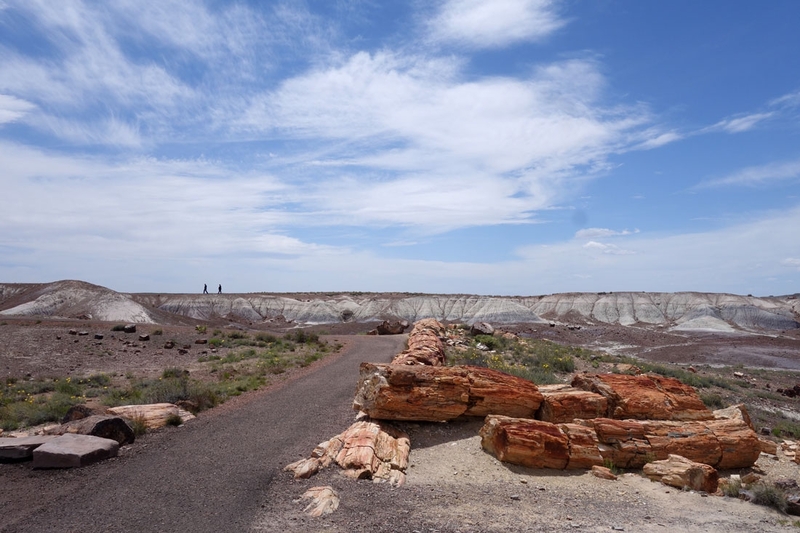 We hadn't really known about this national park until our guide at Antelope Canyon mentioned it. 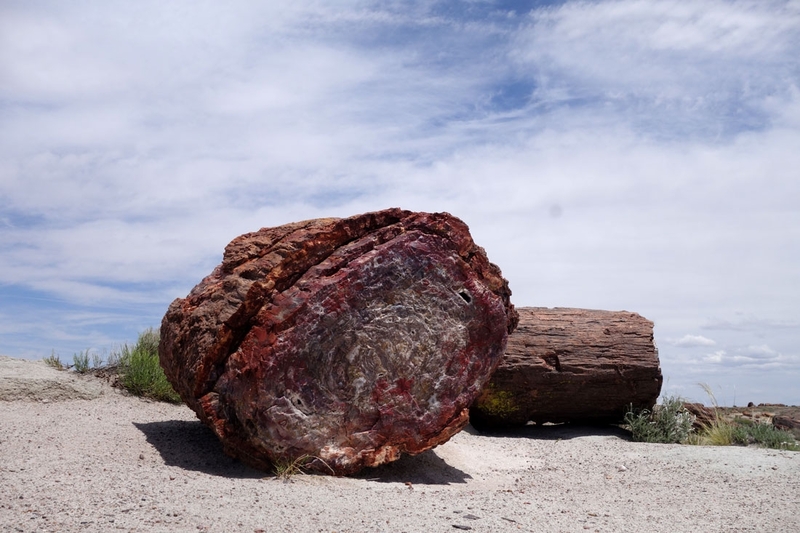 Given we have a national park pass and had a spare hour on the road we decided to stop by to have a look at some petrified wood. 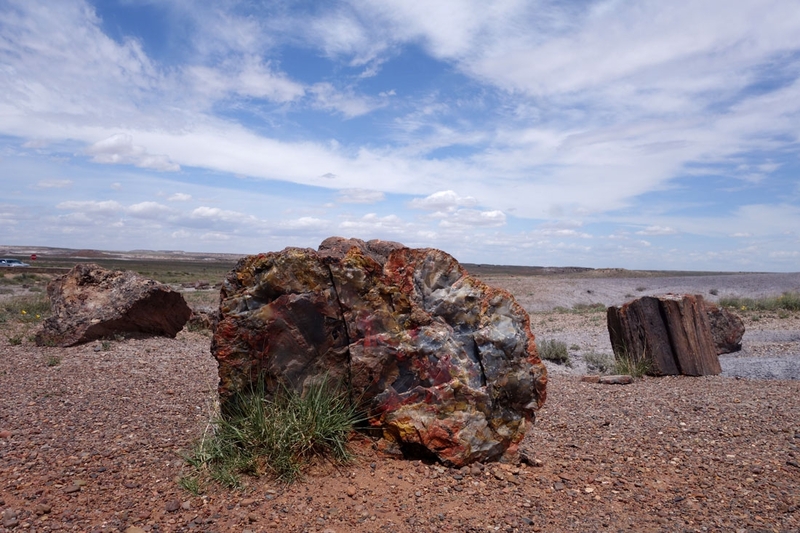 I don't really know what I was expecting, perhaps a forest of full blown tree shapes in grey stone instead of wood but that isn't quite what you find at the Petrified Forest National Park. There are a few walks but we headed for crystal forest as it was a short walk where you could see quite a lot of petrified wood. 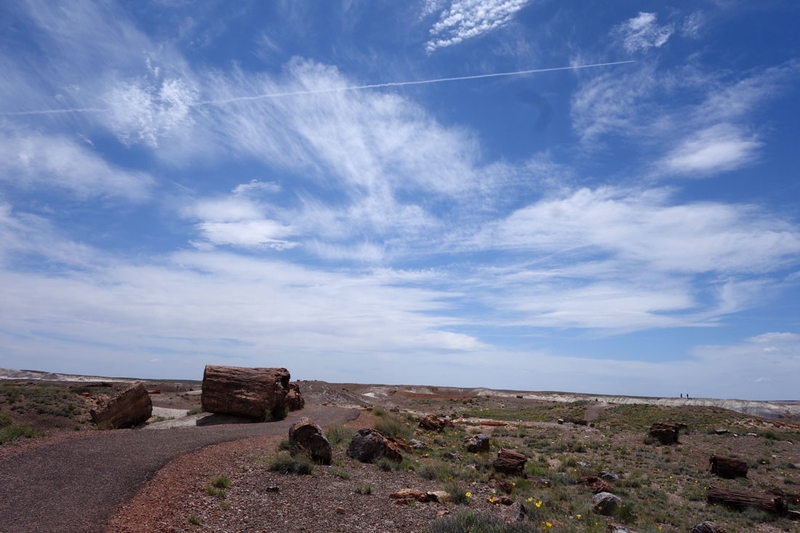 The landscape is rocky and barren but littered with what looks like cut logs of wood however when you get up close and touch them - they are stone! Not the grey type stone I was picturing either but brightly coloured, almost gemstone like in appearance. 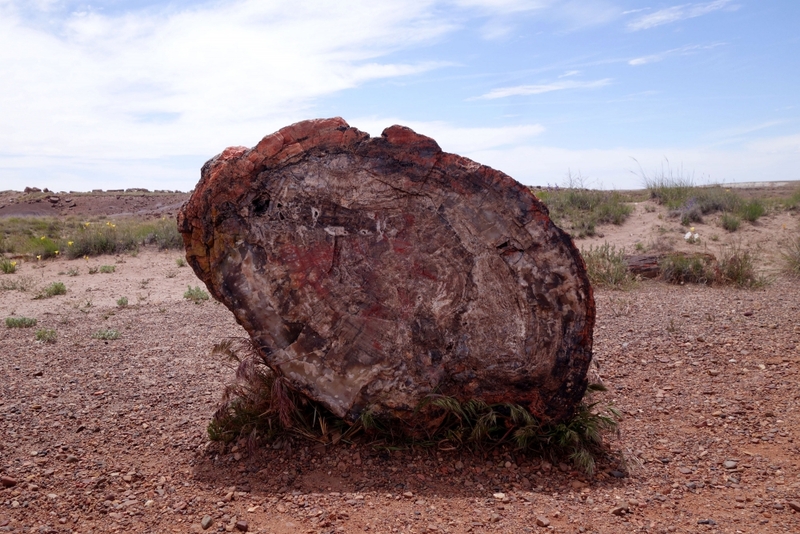 It was a pretty cool stop off and at least we can now say we have seen what petrified wood actually looks like!